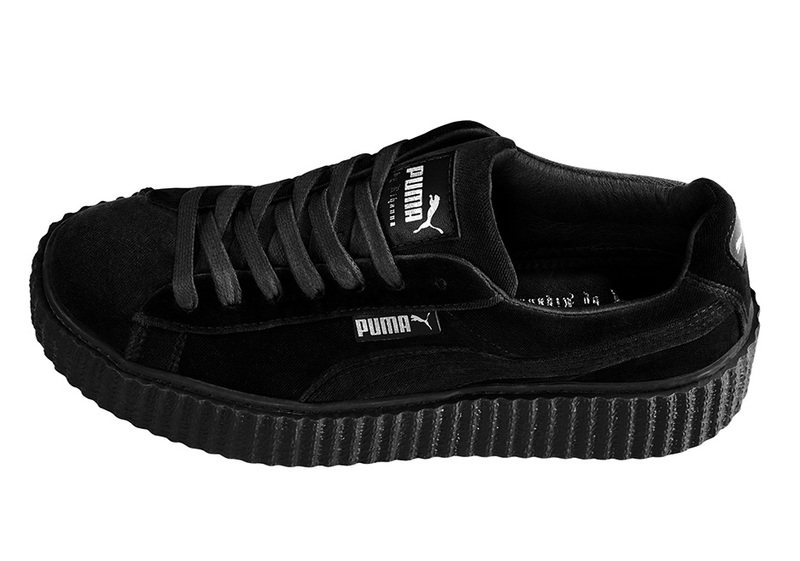 Rihanna has been Puma’s biggest co-sign in recent years, as her Puma Creepers model has been a smash hit for its classic shape, simple design, and awesome colorway options. 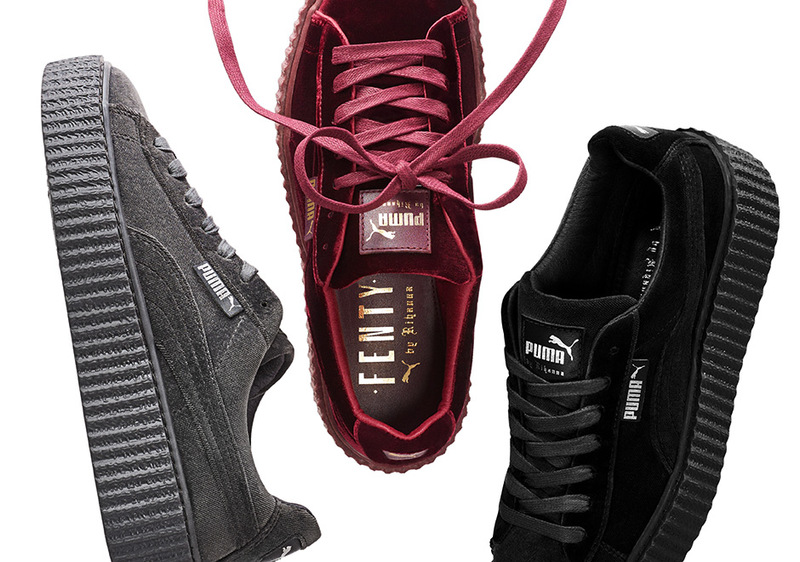 Now we have word that the Rihanna x Puma Creeper will release in new velvet installments this December featuring a soft textile upper complete with monochromatic options, waxed laces, and metallic gold foil branding for a luxurious look perfect for dressing up or dressing down. 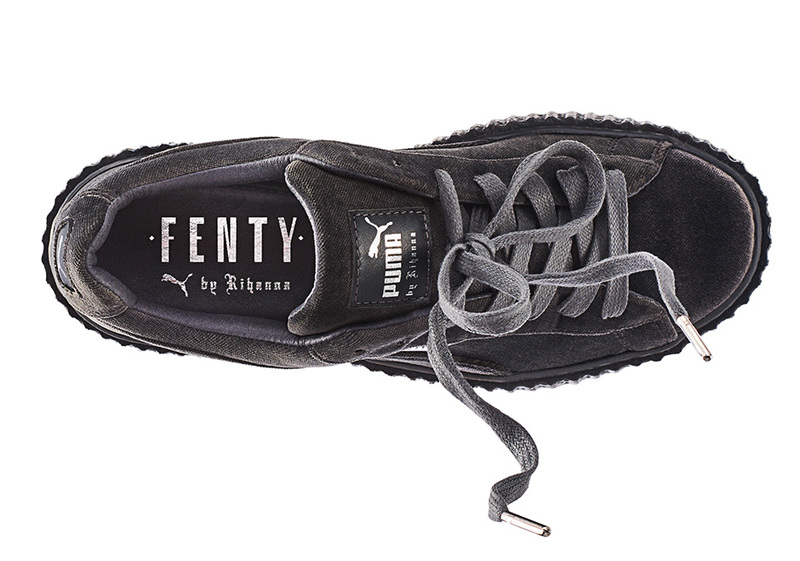 Rihanna’s Puma Creepers was the first sneaker designed by the pop star under her new FENTY PUMA label. Footwear News even named the silhouette their Shoe of the Year for its success in the women’s department. These special edition velvet releases will even be accompanied by a velvet shoe bag for an added touch of class. The Rihanna Puma Creeper will be available on December 8th for $150 a piece at select Puma retailers and online at PUMA.com.